While I certainly hope this is true, you have to be prepared for life’s every scenario. Through my work at Blue Cross NC, I know first-hand how important it is to start having these conversations with your loved ones about your wishes for end-of-life care. It’s unpleasant to think about, which is why most people put it off. But setting up your living will, and putting advanced directives in place is a smart move that could save your family from having to make unbearable decisions for you if you can’t make them for yourself. At my yearly physical, my physician asked me if I had advanced directives in place and when I said yes, he checked the box and moved on, never asking me what my wishes were, nor did he ask for a copy. This is something that should be discussed with your physician so they make sure your wishes are met. Advance care planning gives patients the opportunity to exercise their right to make determinations about their medical care, before becoming incapable of active participation in health care decisions. 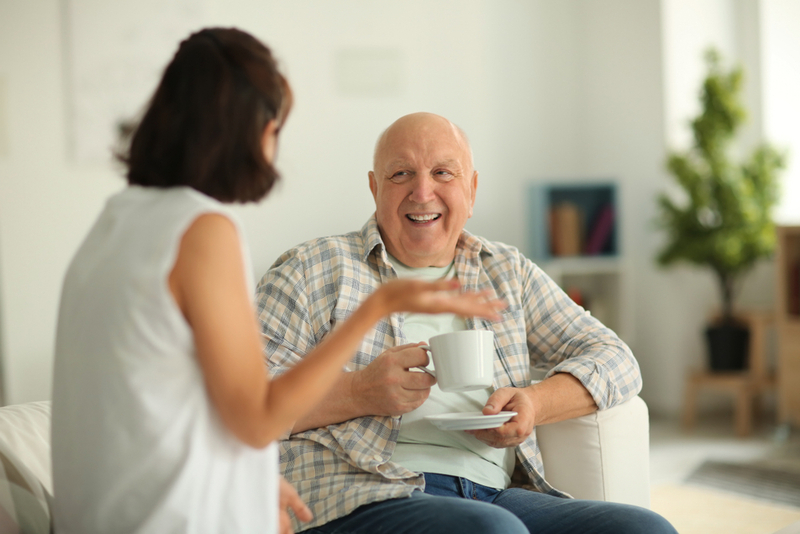 Advanced illness care planning involves discussions between patients, caregivers, and providers and is covered under the member’s Blue Cross NC plan. I know first-hand how important it is to have this information in place. Ten years ago, my 83-year-old father had been admitted to the hospital for pneumonia and then had a heart attack in the Emergency Department. After a couple of weeks of being on a ventilator and being fed through a feeding tube, he needed a peg tube through his stomach to deliver nutrition. My family and I made the tough decision to take him off the ventilator and not insert the peg tube. We knew he would not have wanted to continue living this way. After my father passed, my mother (who had a history of heart disease and living with Type 2 diabetes, dementia, and congestive heart failure) was moved to a nursing home. The next few years were a constant roller coaster of mom’s illnesses; the nursing home taking her to the Emergency Department (their protocol); and me sitting in the ER for hours on end, trying to console my very confused mother. When her cardiology team determined that any type of life-saving procedure would be unsafe, due to her dementia, we put DNRs (do not resuscitate) orders in place, thinking that would be what she would want. We lost her three years ago at the age of 87. What would my parents have really wanted, at the end of their lives? Would my father really have wanted the peg tube? Would my mother have wanted a final life-saving procedure? With no advanced directives in place, we could only assume. We never had the conversation with either one to really know what they would want. End of life is not something we ever discussed. While thinking about advanced directives, it’s important to know the difference between palliative care and hospice, which are usually thought to be one and the same. Both are focused on the patient’s comfort, however, there are key differences. Hospice Care begins after the treatment of the serious illness stops and it’s clear the patient is nearing the end of life. Hospice should be ordered when the patient has six months or less to live. Palliative care is appropriate at any stage of a serious illness and can include life-prolonging and curative treatments. These services provide significant benefits for patients and caregivers by including an extra layer of support; promoting overall wellbeing, and not just the treating the illness. Palliative Care not only supports the patient but the family as well. I think back to what both my parents went through and the stress that came with it. Having palliative care ordered while my mom was living in the nursing home would have provided the support we needed for my mom to live her life more holistically, living the way she wanted to live. When thinking about end-of-life care, we have to be our own advocates (through preparing and letting people know what you’d want), and we have to be advocates for our family members. Lori Taylor is a senior strategic advisor for Blue Cross of NC and leads programs focused on transforming the way care is delivered through programs. Lori has worked in healthcare for almost twenty years and is passionate about making a difference for both patients and providers in order to improve the care in her adopted state of North Carolina.